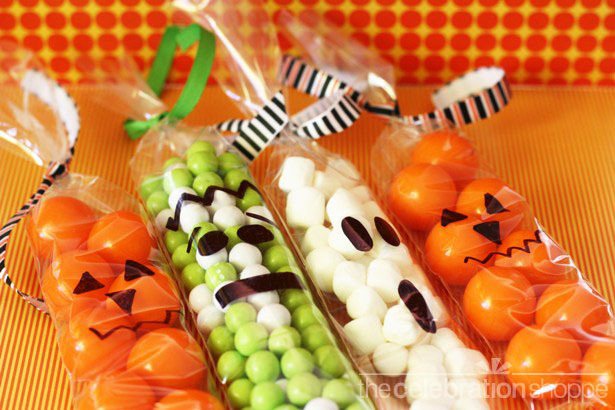 Remember the cute DIY Halloween Cello Bags from The Celebration Shoppe? 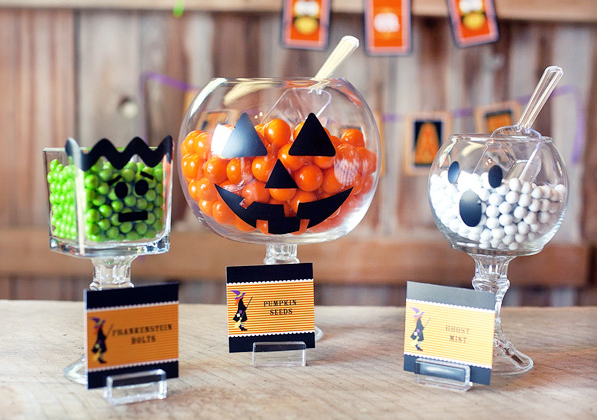 Well she traded in her sharpie for some vinyl and the cello bags for some cute glass candy jars and created a fabulous Halloween Candy Display that was featured over at Hostess with the Mostess. The party is full of fun ideas that you will want to check out. You can check out the DIY monster pedestal jars over at The Celebration Shoppe.